Enjoy a renewing body treatment from our Wellness Centre located in the Garden House on the grounds of the Salt Spring Centre of Yoga. We have been offering Ayurvedic and health treatments since 1984.Our goal is to nurture, strengthen and support your journey in wellness care by offering a sanctuary where holistic touch enhances your own healing energies. Ayurveda, India’s ancient science of life and health, integrates body, mind and spirit, restoring balance, harmony and peace of mind. Trained bodywork & Ayurvedic practitioners offer relaxing and rejuvenating sessions. Ayur means “life” veda means “knowledge”. Ayurveda is a 5,000-year-old system of natural healing and is known as the ‘Mother of all healing systems’ because it predates all other healing therapies and natural medicines. It is not merely to treat ailments but a complete philosophy that encourages the pursuit of a healthy lifestyle. Ayurveda is a complete knowledge of life that teaches us how to live in tune with nature. It is truly holistic in the sense that Ayurveda looks at more than simply the physical body when considering the complete health of an individual. We understand that everyone is a unique individual, and as a result, we offer treatments that are right for you and your body type in accordance with the principles of Ayurveda. All products used are organic and wild crafted. Please contact us at (250) 931-2792 or wellness@saltspringcentre.com. The Wellness Centre is generally open seven days a week. A vigorous warm oil Ayurvedic massage stimulates the lymphatic system and deep cognitive memories while energizing the tissues and organs of the body. Increases flexibility, relieves constipation, tones the stomach muscles while stimulating the heart, lungs and blood vascular system. Increases prana (energy), tones the liver and spleen, dislodges mucus accumulation, refreshes, relaxes and deeply nurtures the whole body. Swedana is derived from the Sanskrit root word “swid” meaning to sweat, perspire or soften. A head, neck, shoulder and foot massage followed by a steady flow of warm sesame oil over the forehead. This is a soporific treat, soothing and invigorating the senses and the mind and is deeply stimulating for the nervous system. The process leaves one feeling connected, centred and calm, while relieving stress, headaches and exhaustion. Have it all in this exceptional 2.5hour session. A luxuriating blend of Abhyanga, Swedana and Shirodhara creates an amazingly beneficial Ayurvedic experience. A combination of Shirodhara and Abhyanga bring the benefits of both a full body Ayurvedic oil massage followed by a soothing stream of warm oil over the forehead. This treatment gives a deep sense of balance, calm and peace. By activating acupoints on the lower legs and feet, all the organs of the body are stimulated, creating a state of deep relaxation, resulting in a sense of total wellness for the entire system. Massaging the feet, one of our five organs of action, relieves insomnia, nervousness and dryness. Massaging the legs energizes the belly, pelvis and colon, improving circulation, fertility and numbness. This treatment benefits sore, tired feet, cracked heels and promotes overall wellness and balance. A stimulating warm oil massage of the lower legs and feet, topped with the continuous flow of warm oil on the forehead. Massaging the various pressure point of the feet harmonizes the entire system while the warm oil flow is profoundly relaxing and nourishing. A pampering fusion of Pada Abhyanga and Facial. A stimulating warm oil massage of the lower legs and feet, paired with a cleansing, nurturing mini facial to leave you feeling renewed and energized. A warm oil massage using various therapeutic massage techniques. Massage increases bodily heat and the flow of life-supporting oxygen, promoting vitality, strength, stamina and flexibility. Improves circulation, concentration, relaxation and restoration. A gentle hands-on approach which balances and harmonizes one’s energies. Reiki is restorative and nurturing while calming and relaxing an overstressed body. Reiki complements other services. A warm oil massage blended with a restorative Reiki balancing. We use 100% organic wild crafted products. The facial begins with a lavender steam, followed by a facial scrub, facial massage and masque. This treatment includes a relaxing hand and foot massage. Add this 30 minute facial to any service. Recommended for reiki, abhyanga and massages. It includes a gentle cleansing, facial masque and moisturizing of the skin. Add this 30 minute version of our very popular shirodhara to compliment your massage, abhyanga or pada abhyanga. Enhance the detoxification and cleansing process with the exquisite experience of a steam plus resting time in our cedar cabinet. This helps seal in the benefits of your treatment, similar to Savasana (resting pose) at the end of an asana class. Rajani was one of the originators of the Chikitsa Shala Wellness Centre and has been practicing bodywork for over 40 years. 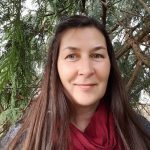 She holds therapies through the Ayurvedic Institute in Santa Fe, New Mexico, with further certifications in massage, Zero Balancing, Jin Shin Do, shiatsu, reiki, reflexology and yoga teacher training. Rajani lived at the Salt Spring Centre for 15 years, managing treatments, the organic gardens and the vegetarian kitchen. She is a maker of organic facial and ayurvedic products as well as an end-of-life caregiver. Chantale specializes in integrating Ayurvedic principles with massage techniques and acupressure points to bring about complete relaxation; she has completed a certification in Jin Shin Do / Acupressure in 1996. Various Ayurvedic therapies were experieneced and learned during her 10 years in India. To complement her initial training, she adds the essentials of Esalen and Thai massage, therapeutic touch of Reiki and the space of Hakomi, a body centred pyschotherapy. Ayurveda, un ajout d’huile tiede, de technique de massage dans un flot continu et un espace complice, permet une relaxation profonde; pour un service en Francais il me fera plaisir de vous rencountrer. 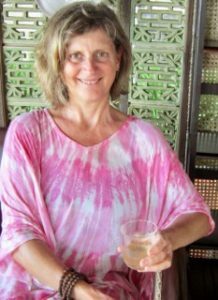 Lekha has been offering bodywork treatments for over 20 years and has recently returned to Chikitsa Shala Wellness Centre at the Salt Spring Centre of Yoga to join the practitioners, once again. 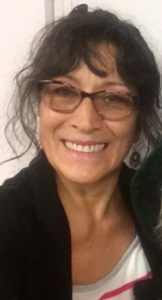 Lekha received her Ayurvedic training from CSWC and has further certification in Jin Shin Do acupressure, Reiki, massage, reflexology as well as healing methods from First Nation elders. Lekha has vast knowledge of plants for beauty and medicines, and is also working at a local garden centre. 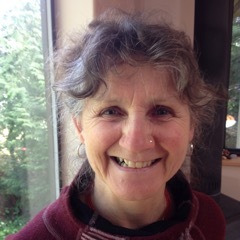 Satya has been involved with the Salt Spring Centre of Yoga for 30+ years. Her studies and career took her away from the Centre while completing her RN licensing and working her entire career in acute care nursing. Having recently retired, Satya has rejoined Chikitsa Shala Wellness Centre offering Ayurvedic treatments, massage and Reiki. Here are the guidelines for the Chikitsa Shala Wellness Centre. To make an appointment please call us at (250) 931-2792. Please note that some treatments may require 24 hours notice for bookings. We require full payment or gift certificate number to reserve your appointment. Please arrive 15 minutes prior to your appointment time. This allows time to discuss your treatment with your practitioner and enjoy your full treatment time. If you arrive late, a modified service will be performed if time permits and will end at the scheduled time. Full payment will be charged for late or missed appointments. Cancellations and changes are accepted up to 24 hours prior to your appointment time. Less than 24 hours notice will result in a charge of 50% of services selected. Refunds will not be given for missed appointments, with the exception of emergency situations. Gratuities can be given directly to the practitioner at the time of your treatment or charged to your credit card by contacting the office. Our practitioners are professionally trained and are devoted to ensuring that you have a nurturing and pleasant experience. Do not hesitate to bring any concerns or questions to the attention of your practitioner.